Marketers often overlook the importance of subject lines, yet these phrases can ultimately determine the success of an e-mail marketing campaign. A strong subject line can capture attention, pique interest, deliver a higher open rate, and prevent e-mails from being sent to the spam folder. To help marketers get better reactions and results from their e-mail subject lines, Swiftpage.com offered the following subject suggestions. 1. Lose the Lingo – Since your audience is probably unfamiliar with the terms and jargon of your industry, avoid using phrases in your e-mail marketing that they may not understand. Steer clear of any acronyms and abbreviations, as well as slang or obscure expressions. Focus on using clear, concise, and compelling words that make sense to every recipient. 2. Allude to Your Call to Action – Ironically, the closing should start the beginning by preparing your audience to perform the desirable action. Mirror the tone of the subject line to the content within. Draw attention to limited-time offers. Provide a brief overview of the enclosed content. These simple gestures will engage and enthuse recipients about what’s waiting inside the e-mail. 3. Stay Away from Spam – Realize that any words resembling spam will take your e-mail marketing efforts straight to the junk folder. As a reminder, avoid words such as money, degree, weight loss, percent off, gift, and other controversial language. Also, using the word “free” in your subject lines can be a problem if it’s combined with triggering terms. 4. Test a Variety of Subject Lines – Always experiment with different subject lines before sending an e-mail to the masses. For very important e-mails, try out various subject lines as pay-per-click ads to see which get the most clicks. 5. Segment to Select the Best Subject Line – Once the list of subject lines has been narrowed down to two, send out a pair of test e-mails, each with one of the two potential lines. The one that generates the greatest response is the winner and will likely deliver better results. 6. Target with Different Subject Lines – Tailoring the subject line for different audiences can be very effective since it will appear that the e-mail is speaking to their specific interests. When the message relates to the recipient’s needs, there is a higher probability of both opening and action. 7. Stand Apart from the Competition – Make your e-mail marketing make an impact by developing a unique subject line that distinguishes your messages from those of your competitors. Do some research on your competition by joining their e-mail lists and seeing what they send out. Then, do your best to make your e-mail marketing better. 8. Focus on Benefits from the Beginning – Start off your e-mail subject line by promoting the advantages of the product rather than just touting its features. Lead with benefit-oriented words and make the product personally relevant to the recipient in order to engage them on a more emotional level. 9. Use Numbers to Stand Out and for Faster Understanding – In addition to being eye-catching, numbers are quickly and easily absorbed by readers. 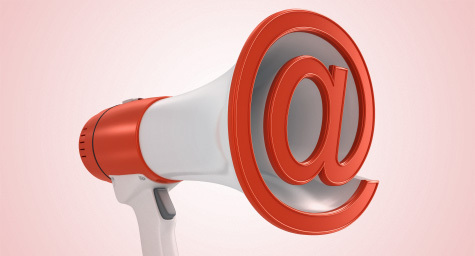 Use them in subject lines to send a clear, concise message about the e-mail content. 10. Keep the Subject Line Fresh and Not Repetitive – If your e-mails feature the same message over and over, recipients will start to ignore these messages regardless of their content. Instead, develop an ongoing stream of new, original e-mail subject lines to create elements of surprise and anticipation. By following these simple suggestions, your e-mail subject lines can be more powerful and persuasive. This can significantly increase the overall open rate and open the door to greater sales and success. To discover the latest ways to use e-mail marketing to capture your audience’s attention, contact MDG Advertising today at 561-338-7797 or visit mdgadvertising.com.